HSBC Russia has conducted its first cross boarder transaction in Yuan for the Moscow based Sportmaster group of companies, marking the growing role of Chinese currency in international settlements. HSBC says the deal provides access to existing markets in Shanghai and Hong Kong, making conversion of Chinese Yuan more profitable for Russian clients. The move reduces conversion operation times from to 1 day from 3 and eliminates dollar fluctuations.Russian companies will have the capacity to trade not only with Chinese Yuan, but with other countries as well. 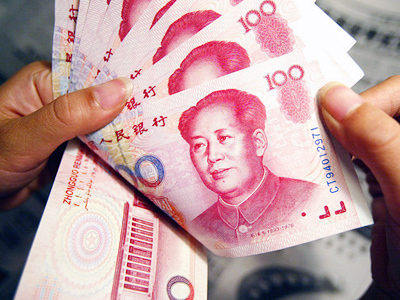 Such transactions became possible after the Chinese Government launched a liberalisation pilot programme in July 2009, allowing Yuan use in cross-border trade. Oleg Radichkin, Head of Payments and Cash Management at HSBC Russia, said the deal recognised the Yuan’s growing international position. Dmitry Barkov, Head of Corporate Finance Department at Sportmaster Group, added that the trade in yuan was profitable for both the seller and the buyer. According to Russia’s Federal Customs Service data, the trade turnover between Russia and China exceeds $50 billion a year, which ranks Russia the 8th in the list of China’s biggest trade partners and in turn places China the 3rd as Russia’s biggest trade partner.